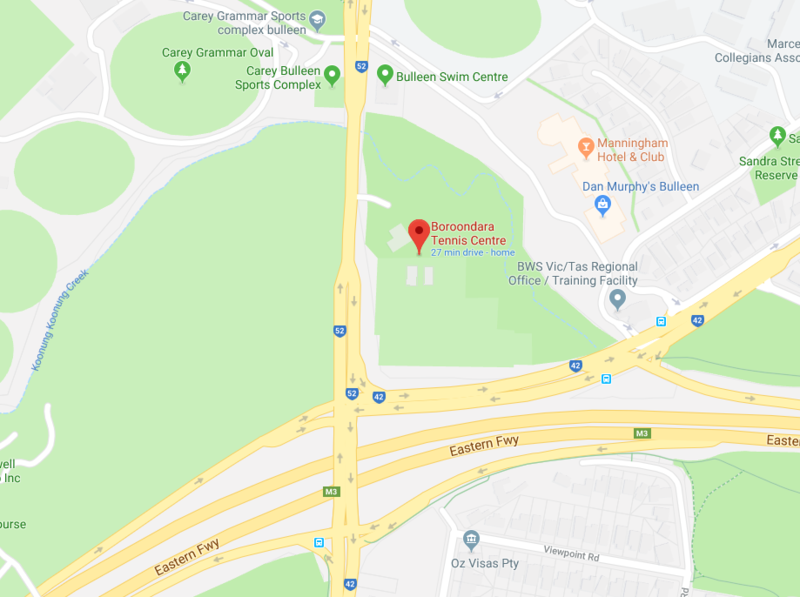 Boroondara Tennis Centre is a public centre owned by the Boroondara City Council and run on their behalf by Maher's Tennis Management Services. The Centre has 23 fully lit outdoor courts, making it one of the largest tennis venues in Victoria, with synthetic grass, synthetic clay and cushioned hard court surfaces available. We run a full array of tennis programs, competitions and events to cater for players of every age and ability. Located right on the Eastern Freeway in North Bawyn, the Centre is only 20 minutes from the Melbourne CBD. Boroondara Tennis Centre has undergone major works and redevelopment over the past 2 years. The clubhouse has been totally renovated and now features a much more spacious and comforable reception and cafe area, as well as refurbished change room facilities and an improved childcare area. 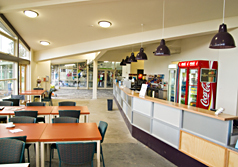 The on-site Tennis Pro Shop has also been recently redeveloped and is now operated by centre management. The centre hosts the highly respected physio4athletes with Anne-Marie Montgomery and Sabaya Thai Massage which provides a range of traditional and modern massages and Milo's House preschool Literacy program..
2011 and 2012 the Centre has also undertaken a major court replacement project, with all 16 Synthetic Grass courts upgraded and a fourth cushioned hard court added. In 2014 we completed another major upgrade with all fences completely replaced. Our Brand New European Clay Court is Ready! We are thrilled to announce that our new European Clay Court has now been completed and is ready to play. 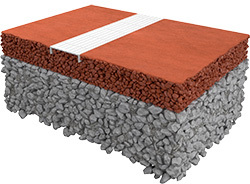 The surface we have chosen to install is CONIPUR PRO CLAY, which is proven as an all-weather clay court system. It consists of a base layer of brick chippings, which are thickened with a special binding agent and spread with finely crushed brick on top. The main benefits of this type of clay court over traditional En Tout Cas courts, is a truer ball bounce and better sliding properties when moving around the court. This is acheived by using a finer surface material, producing a far more level playing surface. The surface is also joint-friendly to reduce the risk of injury for players. In the initial stages this court will only be used for coaching, while it plays in and settles down. However we expect to be able to open it up for public bookings in the next couple of weeks.